Property 15: Spacious home with 5 bedrooms in charming Goldegg. Property 17: Stylishly renovated country house with garden, right in the ski, golf and hiking. Property 27: Tastefully and luxuriously decorated holiday home with terrace and stunning view. Property 35: Ski & Summer, luxury furnished cottage near lifts. Nestled in the heart of the Alps ..
Property 41: Nestled in the heart of the Alps ..
We had a wonderful stay at Das Schmiedhaus. It was absolutely perfect for our family of 14, the bedrooms are cosy but there is plenty of lounge space to relax and the loft is a really cool space for four (short) people! Everythign was clean and nicely prepared for our arrival. 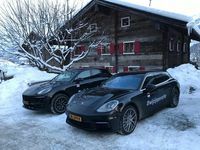 The owners were extremely responsive and attentive throughout the booking process, and even sent us discount vouchers for ski hire and other activities. The kitchens were well stocked with everything we needed. Check in/check out was super easy. 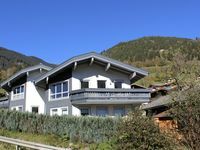 The location is excellent, maybe a 5-7 min drive to Kaprun and 15 min to the Kitzsteinhorn ski area, also with easy access to Zell am See and lots of grocery stores. There is also a ski hut for all your boots and skis and equipment. I highly recommend this property for large groups and we will definitely consider staying again in the future. Thank you for a wonderful stay!